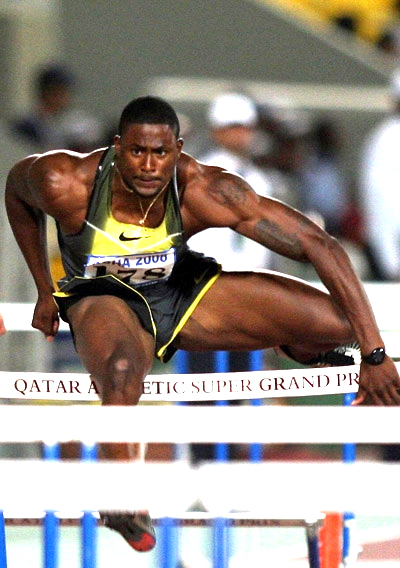 Howard alumnus David Oliver, the 110-meter hurdles Olympic bronze medalist at the 2008 Beijing Games, continues to set records, capture headlines and tear down barriers on his quest to earn an Olympic gold. Oliver, who is the first two-time All-American in Howard’s history, holds the American record with his 12.89-second burst last summer in Paris, a mark that’s the fourth fastest ever in the 110 hurdles. Now, with the Olympics in London just around the corner, Oliver is gaining a lot more attention. On Friday, Aug. 19, he was featured in 33 newspapers, including the Washington Post, and three television stations. Read about how this 2005 Howard graduate is continuing his quest and spreading the name of Howard University around the world.